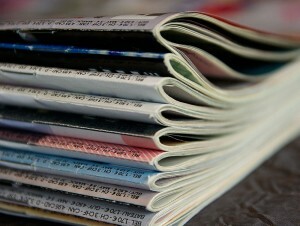 Magazine publishers that continue to get by with just paper or desktop print replica versions of their content must know that a business plan based on older methods of information distribution will not get them to the level of success they need to remain competitive. As organizations recognize the benefits of adopting a mobile-first approach, those still offering only print replica editions can expect to see a decline in readership. 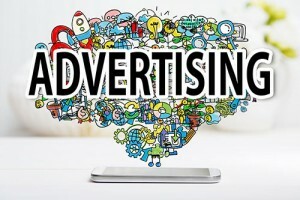 They also must face enduring a downturn in ad sales as well as the possibility of being dismissed as out of touch about the realities of digital publishing, social media and online advertising. Of course, it is possible for readers to download PDF or print replica versions of magazines, reports, or catalogs to their mobile device for reading while on the road. People do this every day. 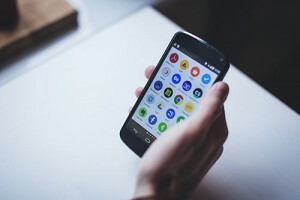 However, these files can often be quite large, especially when publishers designed them for reading on desktop computers and didn’t take into account that what works for desktop doesn’t really work that well for small screen mobile devices. In fact, a PDF file crammed with large images may take ages to load each page on an older smartphone whose CPU just cannot handle so much processing. Not to mention that data allowances and wifi connectivity are always major deciding factors for what content readers decide to consume on their smartphones. In such cases, readers wind up deleting the file and have to remember to open the file later when they have access to a desktop or laptop computer. They might even resort to printing out the bloated document just to make it “portable” again. Keep in mind that mobile users do not have the same objectives as desktop users, in that they are frequently in a hurry and want to read smaller portions of information, noted a recent article at Huffington Post. Long winded articles are less likely to be lingered on, so it is important to get your message across to readers within the first few paragraphs. Remeber that content-dense media elements like images and videos are ideal for mobile readers with increasingly shorter attention spans. It’s best to meet your readers where they are (on their smartphone or tablet connected to the Internet) when presenting digital content. 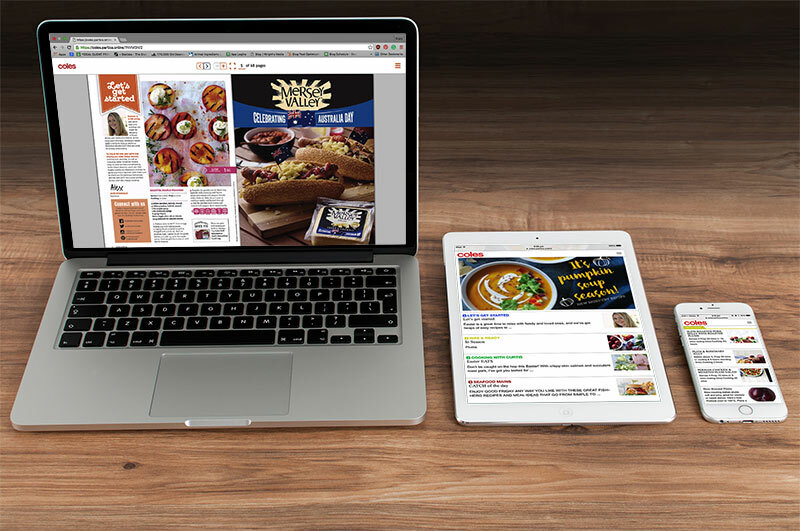 Responsive mobile design is called for. This means that the layout will adjust when the user rotates a smartphone from vertical portrait mode to horizontal landscape mode. The navigation elements will be easy to manage, even when the reader has just a thumb to spare while holding a mobile phone and tapping or swiping the touch-sensitive display, noted a recent report at Copyblogger. 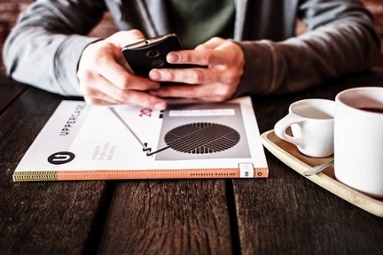 There’s no need to replicate the look and feel of a printed magazine or brochure when the intention is to let someone read it on a small smartphone or tablet. Why not take advantage of the innovations provided by mobile devices?—it’s easy to tap on text or an image, to zoom in and out, or swipe to the right to continue reading a story. What’s more, when content is living on the Web instead of locked into a rigid file designed from the print-oriented days of the previous era, users can share specific material with one another via social media instead of having to reference or share the entire file. You might be tempted to hire developers to design and build a new branded native app for mobile devices. But in doing so you may be making a decision that could potentially cut you off from a large chunk of your targeted audience. Will your app be made for use on Android devices or on Apple’s iPhone and iPad? If you are working within a modest budget then there is the very real possibility that you may need to choose one or the other. It’s less expensive and less time consuming to just opt for a web app approach, noted a recent article at AdExchanger. Having to port your branded app to multiple platforms can be a complicated affair, and then you have to continue to update the app whenever the mobile operating system makes significant changes during its upgrade cycle. Instead, web apps and sites built with HTML5 are responsive to all brands and models of mobile devices. You don’t need to worry about making sure each reader has downloaded the latest version of your app so they all have the same experience. Instead of offering traditional ads, such as a full page next to a feature, you can give your advertisers the option to turn a digital ad into its own micro-website within your online digital magazine. Since mobile devices are constantly keeping track of their location via the GPS system, your advertisers can selectively target readers in a particular ZIP code. Add to this the native advertising capabilities made possible with the device, and now magazine readers can “tap-to-call” a company right from their ad, or click to get directions when they are in the vicinity. As a content publisher, you want to reach out to readers to keep them engaged and coming back for more on a regular basis. When you convert your content to HTML5 for perusal on mobile devices, you can encourage readers to respond to you from the device they use to read the material. For example, include a notice in your publication for readers to SMS you a keyword in exchange for promotional or exclusive mobile-only material, which can then be instantly delivered to them via a return SMS message. Social media is also an important factor here. Compared to even a decade ago, many people today do not have a habit of starting their day reading newspapers or watching news on TV, instead they are preferring to learn about what is happening in the world via notifications they see in their social media feeds or mobile sites. You can make it easier for readers to share your news in this fashion when you transition from a print replica publishing model to a reflowable optimised article format. Compared to desktop and print strategies, a mobile strategy works much more effectively to deliver information to those who want it as well as to deliver readers to the advertisers who are targeting very precise demographics. Consider that a digital publication built only with desktop readers in mind is designed to present information in a very limited way, as compared to the dynamic way that content can be delivered with multiplatform solutions. With print replica material such as PDFs, just as is the case with material printed on paper, there is no provision to serve up geotargeted advertising. This means, for example, your advertisers wouldn’t be able to focus on East coast rather than West coast customers. When your material is presented with responsive design, your advertisers can pick the type of advertising that would best suit their objectives. Now they have options for banner ads, native ads with no limits on size and shape and the ability to target readers with ads by sections or throughout the publication when you publish this material in responsive HTML5 format. Publishers need to keep their eyes open for new opportunities to get their work out to more readers. When you adopt a mobile-first solution that optimises your magazine into its constituent articles, you can include distributing this bite-size material through syndication services like Facebook Instant Articles, Snapchat Discover and Apple News. This is not possible with conventional print replica files destined for desktop. Converting your content to HTML5 sets you up for exposure to a wider audience as well as more advertisers. Readers are increasingly turning to their smartphones and tablets to read a wide array of content, from blurbs to articles to product manuals, guides, magazines, catalogs, and more. When you present this kind of content in a form that is designed first to appeal to mobile device users, you are widening your potential audience. 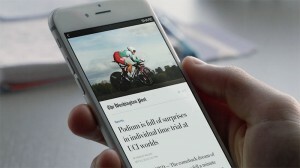 Digital publishing should increasingly turn toward mobile. 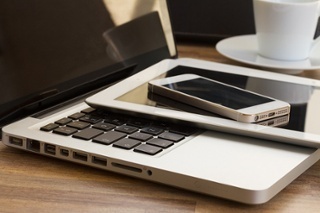 It’s become so popular now that tablet and smartphone usage accounts for 62 percent of the time people use consuming digital media, according to a recent presentation from industry analyst comScore. It’s clear that publishers need to rethink the way they present content to readers in an era where more people use smartphones and tablets to find and exchange information with one another. Your audience will grow, as will the pool of potential advertisers who would be most interested in reaching out to your readers while they’re out and about with their mobile devices. This is why so many publishers are turning to a robust platform like Partica to publish digital content for users who prefer to get their information via mobile devices. People can read whatever they’re interested in on demand and will feel connected with their friends because it’s so easy to share links to specific articles or pages in a magazine, guide or report via integrated social media channels. Advertisers find readers who are interested in their products and services more easily as well. Thanks to the dynamic advertising that is made possible through the platform. For more information on how you can improve your mobile publishing strategy today, please click through to read our Partica Presentation.